We hope that you like our new website, which makes it easier to locate our Members' Galleries (lower down the page). Our 2018 Exhibition in Lauderdale House (Waterlow Park, Highgate Hill, London N6 5HG) has now finished, and was very successful with many paintings finding new homes and much interest shown in our work. We very much appreciate all this support from both local residents and international visitors to Highgate. We look forward to 2019 with enthusiasm and confidence, and will be out and about in Highgate and other parts of London with our painting gear. We expect to be participating in the 2019 Highgate Fair in the Square in June. To keep up with our activities, please go to our Facebook Page. I really love painting with watercolours! 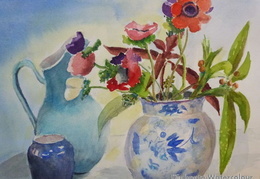 Though I've used oil paints and made drawings for a number of years it's watercolours that I now mainly work with. 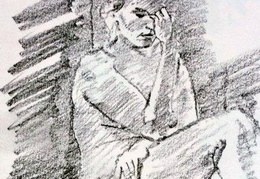 I like to make preliminary studies using sketches or by using my own digital images and image manipulation software. In addition to the group's annual exhibition I've been fortunate to have had my work shown at the Mall Galleries, the Bankside Gallery and at other venues. 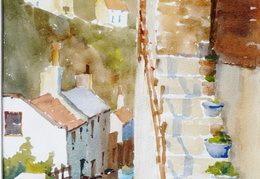 My blog: chrisbakerwatercolours.wordpress.com I am very happy to take commissions. 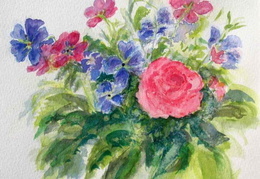 I have been painting in watercolours for 27 years, and continue to be fascinated by the medium. Plein air painting is a huge challenge and so exciting, I try to do as much of it as possible, both with the full pure watercolour kit and sketchbooks with various inkpens, washes, crayons, etc. 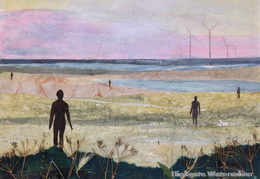 I am also a member of the Society of East Anglian Watercolourists, and the Islington Art Society, and have an Instagram account under the name of Suesymslees. A New Zealander who spent many years living in Highgate London. 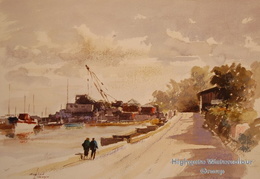 She has now returned to her home town, Wellington, but visits the UK every year, and has continued her ties with the Highgate Watercolour Group. 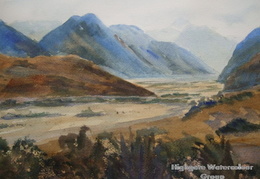 She is an Artist Member and served on the council of The NZ Academy of Fine Arts, and is an exhibitor and past president of Watercolour NZ. 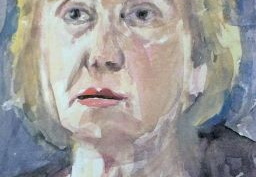 She has had a retrospective exhibition of her watercolour portraits in The NZ Portrait Gallery. 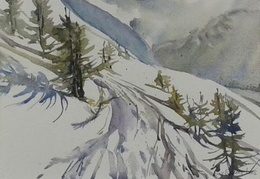 She paints a variety of subjects in watercolour and mixed media including landscapes from both countries and has solo exhibitions in NZ and the UK. The Commonwealth institute in London selected her for a solo exhibition, which resulted in an invited exhibition at Ballance House, Belfast, Ireland. 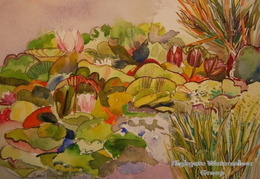 She has been selected for the Royal Watercolour Society Open Exhibition. In 1979/80 I did an Art Foundation Course at Harrow College of Art followed by a 3 year course in Ceramics at Croydon College of Art. I am now working as a ceramicist again but have spent most of my working life as a ceramic jeweller. 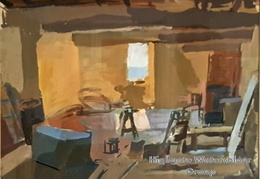 After doing a short course in watercolour painting in the early 2000s I also developed a passion for working in that medium. 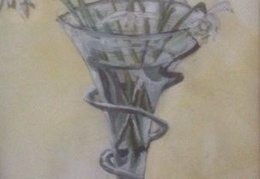 I was trained to use watercolour in a very controlled way as a Scientific Illustrator at Hornsey College of Art. This led onto a 20 year career as an Illustrator. 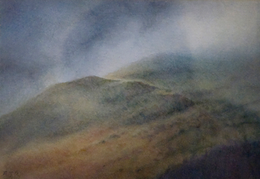 I now use watercolour in my landscape painting; sometimes combining it with pastel, gouache and acrylic to achieve different atmospheric effects. My aim in painting is to evoke a feeling of serenity and harmony with a message of hope for myself as well as for the viewer. 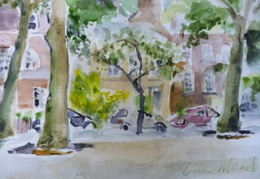 I host watercolour workshops, and am also a member of Islington Art Society. 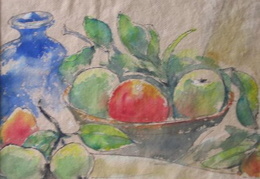 The Group was founded in 1980 as part of the Highgate Society with the aim of enabling enthusiastic watercolour painters to work together in an informal friendly atmosphere. 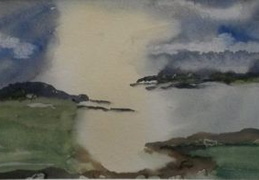 We are a mixed bunch – some of us have painted professionally over a lifetime (and are members of top London art societies, and in one case, an international art society), some are newer converts to the joys of watercolours and other paper-based media. 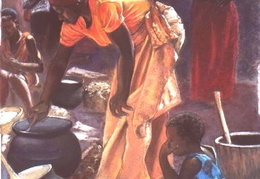 Some of us also paint in oils and acrylics. 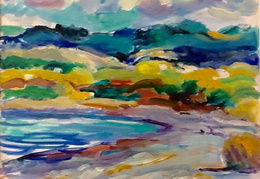 We are enthusiastic about a variety of subjects and really enjoy painting buildings and townscapes, landscapes and seascapes, still life, portraits, and, of course, Highgate and other North London local scenes. 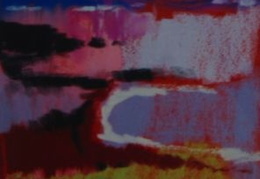 If you are thinking about buying art online, you may like to know that our work is mainly affordable, and we welcome enquiries. 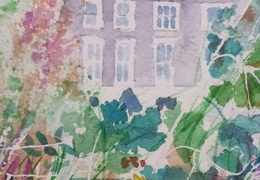 We are based in 10A South Grove (opposite Pond Square), Highgate, North London (the Highgate Society's premises), where we paint regularly on Thursdays, but we quite often go out and paint together either locally or further afield. We also have periodic visits from professional tutors and models. 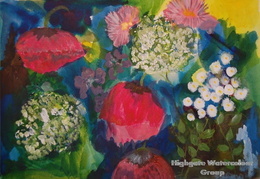 We have an autumn show annually in Highgate, as well as occasional much smaller displays. 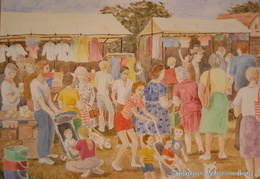 We also have a stall at the Highgate Fair in the Square in June. 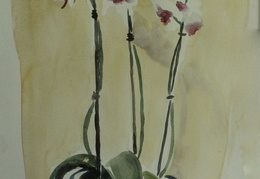 There are around 25 of us, and although our numbers are constrained by the size of 10A Pond Square, and we are currently full, we are always interested in hearing from any experienced watercolour artists who live reasonably close to Highgate. 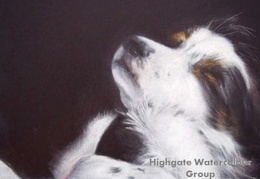 If you like the sound of the HWG, please mail us at highgatewatercolour@gmail.com Please bear in mind that we have an annual membership fee, currently standing at £55. If you have any questions, or would like to hear about upcoming exhibitions and receive an invitation to our annual private view, please mail us at highgatewatercolour@gmail.com. For general news and updates, you can also follow us on Facebook. Copyright belongs to the Artists. All rights reserved.